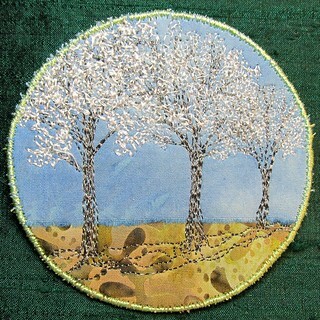 Three small blooming trees in a row. I am pleased with the way the trees overlap, and the blossoms get larger and thicker from back to front. There still needs to be something else in the middle/back ground. They are looking a bit floaty for my taste.